Nonalcoholic Steatohepatitis (NASH) is a medical condition characterized by the buildup of fat and inflammation in the liver. The incidence of this disease is on the rise and is closely related to obesity and diabetes. Currently, there are no FDA-approved treatments for NASH and the condition is rapidly becoming the most common cause of chronic liver disease. In the last year, several investigational treatments have shown promising results and cutting-edge technologies + processes have been developed to raise awareness within the Patient population. This webinar will present key insight on the best processes enhancing bioanalytical measurements, innovative platforms for Patient screening/diagnosis as well as industry-leading strategies to recruit Patients effectively into research studies. Clayton Dehn is a clinical research physiologist with particular expertise in endocrine disorders, especially those related to fertility and metabolic disturbances. He is a member of the steering committee for NIMBLE (Non-Invasive Biomarkers of Metabolic Liver Disease) and has served by gubernatorial appointment to the Arizona Biomedical Research Commission while continuing to serve on the editorial board of four peer-reviewed journals. Clayton brings over 15 years of knowledge and experience as a clinical research professional in the pharmaceutical, device, and CRO industries. His experience spans across global drug development, medical affairs, pharmacovigilance and regulatory affairs, and he has a proven track record in building, managing and globalizing medical teams. Dr. Annika Carlsson is the Head of Mercodia’s Bioanalytical Services. She oversees regulated bioanalysis for Pharma and CRO drug development programs, as well as non-regulatory studies for academia. 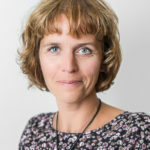 With 6 years of experience of academic research in beta-cell damage pathways, combined with 13 years of experience of ligand binding assay development and validation within the industry, she brings together scientific as well technical knowledge to the Mercodia Bioanalytical Services team. Dr. Carlsson supported the implementation of a GLP certification for Mercodia in 2012 and has lead a team boasting an excellent track record of approved authority inspections since. She is driven by a dual interest of understanding the scientific rational behind biomarker and PK studies, combined with a thorough understanding of what is expected from a regulated perspective in terms of FDA and EMA guidelines. Her expertise covers assay development and validation, life cycle management of assay reagents as well as quality assurance programs for bioanalysis in pre-clinical as well as clinical studies. Dr. Remko Enserink received his PhD in Infection Disease Epidemiology from the University Medical Center Utrecht, the Netherlands. He holds MSc degrees in Molecular Biology and Clinical Epidemiology. Dr. Enserink moved to the United States in 2014, where he worked as a biostatistician for an imaging CRO before joining Echosens as US Director of Medical Affairs. Dr. Enserink works with leading physicians in the field of Hepatology, building on the evolving scientific- and business landscape as they pertain to Echosens products, including FibroScan®. We extend our gratitude to our Speakers and Attendees for having contributed to this NASH webinar making it in the list of top 100 Healthcare webinars in 2017. The recording + presentations can be found on our YouTube channel. For any questions or study inquiries please reach out to our Medical Team at medicalteam@highpointctc.com. Currently, there are no FDA-approved treatments for NASH and this condition has become a source of concern for the academic, medical and biopharmaceutical sectors. This webinar will present key insight on the science and epidemiology of NASH, effective patient outreach, recruitment/screening initiatives as well as the development of novel biomarkers to overcome current diagnosis challenges associated with this chronic disease. Dr. Nuñez is the Medical Director and Principal Investigator at High Point Clinical Trials Center. She has over 20 years of clinical research experience and has conducted over 450 trials in both early and late phase. She received her medical degree from New York Medical College and completed her residency in internal medicine at the University of South Florida College of Medicine. Upon the completion of her residency, she completed a two-year fellowship in geriatric medicine and subsequently joined the faculty at the University of South Florida where she taught Internal Medicine and Geriatrics for three years. Her responsibilities at USF including being the associate medical director at Hospice of Hillsborough County in addition to working at the Memory Disorder Clinic. Before entering her work in clinical trials, she practiced internal medicine at a rural health clinic in Central Florida for an additional three years before becoming Principal Investigator and Medical Director at Comprehensive Clinical Development in St. Petersburg Florida. Dr. Nuñez joined the team at High Point Clinical Trials Center in January of 2013. Dr. Sabina Paglialunga, a Metabolic and Pharmacodynamic Specialist, joined Celerion, a full-service clinical research organization which specializes in phase I and II clinical studies, in 2015. As Celerion’s metabolic disease subject matter expert, Dr. Paglialunga works with clients from the pharmaceutical and biotech sector to provide scientific and operational support for early clinical studies with an obesity, diabetes, or fatty liver disease indication. With over 10 years of research experience, her extensive metabolic expertise is highlighted through more than 30 peer-reviewed publications. Prior to joining Celerion, Dr. Paglialunga completed postdoctoral fellowships at the University of Waterloo (Canada), the University of Guelph (Canada), and Maastricht University (the Netherlands). Her research focused on energy metabolism and glucose homeostasis in the context of health and disease. Sabina earned her doctorate in Biochemistry at McGill University (Canada), concentrating in lipid metabolism. Tim is an enthusiastic life science advocate with 20 years of global healthcare experience with a keen understanding of international medical requirements in the fields of cardio-metabolic molecular diagnostics, implantable medical devices, and pharmaceuticals. 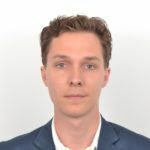 His current role is Manager, Technology and Commercial Development for the Europe-based biotech firm, OWL Metabolomics. The OWLiver® and OWLiver® tests are the world’s first non-invasive metabolomic assays for diagnosing hepatic steatosis and NASH. Much of the company’s focus involves collaborative scientific support for pharma, CRO’s, academia and research centers, focusing on novel molecular diagnostics and associated treatments for fatty liver disease. 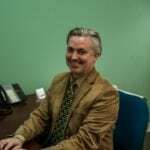 Dr. Michael Murphy originally joined Pacific Biomarkers in 1997 as Director of Laboratory Services. He served in that role until 1999 before returning to the commercial clinical reference laboratory industry. Dr. Murphy returned to Pacific Biomarkers in 2005 as Senior Vice President, Operations and was later named Chief Operating Officer in 2009. Dr. Murphy managed all aspects of the service business including laboratory operations, client and information services, and quality assurance. Dr. Murphy worked with senior management to execute business development initiatives as well. Currently, Dr. Murphy serves as the Laboratory Director/BD Strategic Client Relationships. He provides CAP/CLIA regulatory lab oversight and is very active in fostering strategic relationships with client and vendor partners. Dr. Murphy has served as a principal investigator in research and diagnostic studies. Areas of expertise include biomarker validation and standardization, quality assurance, laboratory operations, informatics and laboratory automation.